When first produced over two thousand years ago, sake was revered and cherished and made as an offering to the various gods and deities of Japan’s indigenous Shinto religion. 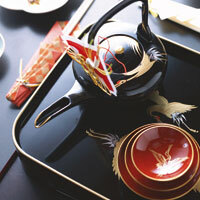 Indeed, for many years sake production in Japan was carried out for the most part within the Imperial Court, and the drink itself was only enjoyed on celebratory or festival days. Even though sake is now widely available and relatively inexpensive, the legacy of its historical importance means that it still features in many aspects of Japanese culture. Whether sipped by bride and groom during a traditional wedding ceremony or drunk to celebrate an election victory, sake’s symbolic value is diverse and far-reaching. With the changing of the seasons comes an occasion to join friends and family to celebrate the spring bloom or an autumnal full moon, with a bottle or two of sake to complete these celebrations of beauty in nature. These traditions date back to when agriculture was the main industry in the country, with sake being served in a particular way depending on the time of year. New Year, or o-shogatsu, is the biggest national holiday and celebration in the Japanese calendar, and of course, sake plays an important part in the festivities. One of these is the ceremonial drinking of sake infused with a blend of herbs, which is said to ward off illness and bring harmony within the family throughout the coming year. This drink is called o-toso, and the tradition of drinking it originated in China. The herbs used in the infusion vary, but usually include cinnamon, pepper and sansho (Japanese pepper). Mirin (sweet sake) is often used nowadays, as it’s considered more palatable when combined with the herbs. 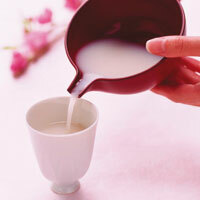 O-toso is commonly drunk in a set way, early on the morning of New Year’s Day, by everyone living in a particular house. It’s poured from a lacquer ware teapot into three lacquered cups, which fit inside each other and are drunk from in order, from the smallest to the largest. This set of teapot and cups is known as toso-ki. It’s also traditional for the family to all drink from the cups in order, from the youngest to the oldest, so that the joy of the youngsters passes to their elders. New Year is definitely the festive season in Japan. As well as the ceremonial aspects of New Year celebrations, a large number of parties are held among work colleagues and students. These are generally separated into two kinds. Bonenkai (which literally means ‘year-forgetting party’) are held during December, and as their name suggests they serve as an opportunity to put the worries and problems of the old year behind you. When the New Year has arrived shinnenkai, or New Year parties, are held. Historically seen as the drink worthy of offering to the gods, sake is drunk to ward off bad fortune and bring good tidings for the year to come. 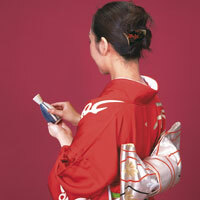 The Japanese have traditionally held five seasonal festivals throughout the year called sekku. Although the origins of these festivals are somewhat obscure, they are believed to have come from China, and are rooted in Japan’s agricultural heritage, when they served to mark the various stages of the farming year. One of these is 3 March, which is not only the Hinamatsuri (Doll’s Festival) but also Momo no Sekku, (the Peach Seasonal Festival). On this date the tradition is to drink sake that has had peach blossom added to it, to ward off illness and injury.Shirozake (sweet white sake) is also drunk, which due to its colour is said to purify the body. Few other nations take the spring season quite as seriously as the Japanese, who annually take time out to enjoy the spectacular displays of cherry blossom which engulfs the country for a precious few weeks each year. A day of hanami is typically spent whiled away underneath a cherry tree, drinking sake with friends. The tradition is said to have originated among farmers, whose annual labours typically began in springtime and who saw the cherry blossom as the mark of the mountain gods. Offerings of food and drink would abound, whilst asking the gods for a fruitful year ahead. Another celebrated scenario for sake drinking is to enjoy a glass or two by the light of the full moon, otherwise known as tsukimizake. 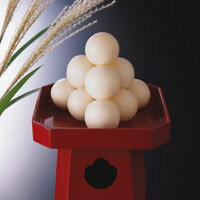 Traditionally taking place in September and October, tsukimizake originates from the custom of offering produce such asdango and sake to the gods to thank them for a bountiful harvest. The moon had a special significance for Japanese farmers, used in effect to track time, its phases helping to determine when certain tasks should be carried out. Nowadays, although not widely practiced, drinking sake by moonlight is more of an aesthetic pleasure than a symbolic ritual. As with hanami and tsukimi, yukimi is another Japanese tradition which involves drinking in the wonders of the country’s natural beauty whilst imbibing the national drink that is sake. Yukimizake means ‘snow viewing sake’ and as you might have gathered, takes place in winter, with hot sake helping to keep the cold at bay. As well as a variety of traditional customs spread throughout the year, sake also plays a part in certain special events in Japanese life. 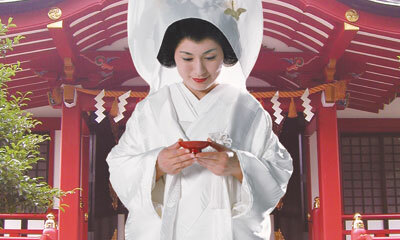 Traditional Japanese weddings are usually conducted in the grounds of a Shinto shrine. The bride and groom, dressed in traditional Japanese kimono, both drink sake in a highly ritualized ceremony known as san-san-ku-do, which literally translates as ‘three-three-nine-times’. The couple each takes three sips from three special, differently sized cups, each one slightly larger than the other. The smallest of the cups represents heaven, the second the earth and the third humankind. Odd numbers are seen as being lucky in Japan, and in particular the number three, so drinking three times from three different cups is thought to be particularly auspicious. At many formal celebrations in Japan, whether it‘s the opening of a new building, an election victory or a wedding reception, it’s not uncommon to see a traditional cask of sake being broken open using a wooden mallet, before being shared among those assembled. This is called kagamibiraki. Although the Japanese word kagami means mirror, it’s also used by sake-brewers to refer to the flat, circular lid of the cask, which is not dissimilar to traditional Japanese mirrors. This practice dates back to the seventeenth century, when Shogun (warrior leader of feudal Japan) Tokugawa Ietsuna gathered his feudal lords together before battle to drink sake together in the presence of their ancestor’s military regalia. The opening of the cask is said to bring blessings of health, prosperity and happiness to all present. When work begins on the building of a new house in Japan, it’s traditional for a Shinto priest to carry out a ceremony asking that the building remains free from calamities such as fire. This generally happens once the main pillars and beams are in place, and is known as the jotoshiki (literally, ‘pillar-raising ceremony’). All those involved in the building attend the ceremony, and drink some sake that has been made as an offering to the Shinto gods. Sake blessed in this way is known as o-miki, and drinking it is said to act as a means of receiving the spirit of the gods.